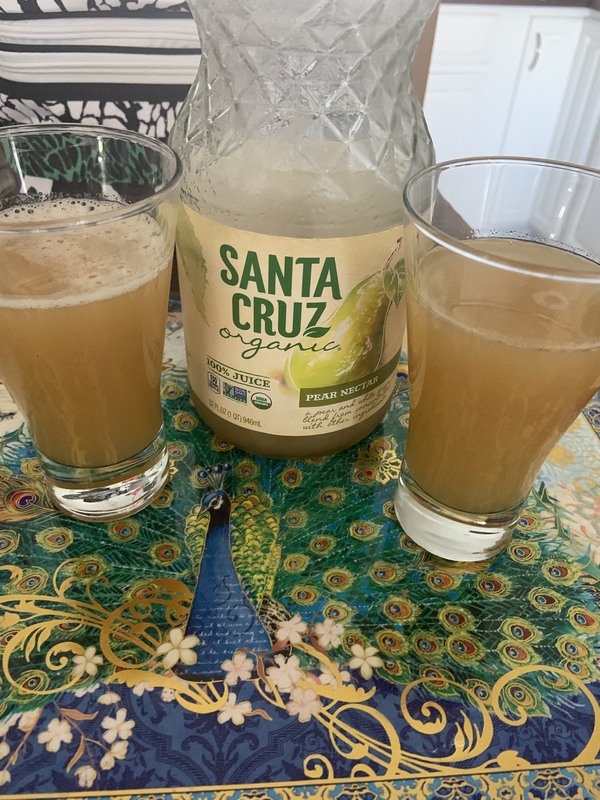 Mama and I fell in love with pear juice while we were traveling in Italy and so we were thrilled to find it available back home in California. This Santa Cruz Organic Pear Nectar doesn’t disappoint. It tastes like drinking a sweet, juicy pear, but even better. Mama and I could not stop exclaiming over this wondrous deliciousness, which she deemed “nectar of the gods.” Plus, the taste brought us right back to our days in Venice. Today’s #OneGoodThing was savoring every drop of pear nectar with Mama! What was your #OneGoodThing today? Please share in the comments! Day 49 of 365. And Day 1,145 in a row (here’s the first 366, & the following 365, & the third year of 365 good things)! I agree that pear juice is delicious. Why isn’t it more available?